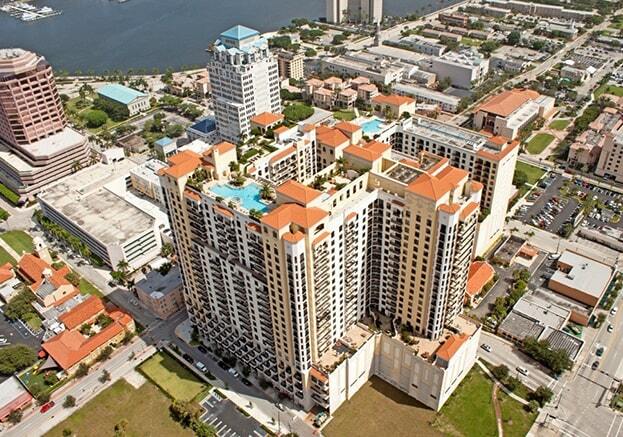 Two City Plaza in West Palm Beach is a 21-story luxury condominium building with loft residences available on the lower levels. The central West Palm Beach location is just steps away from the City Plaza, the Kravis Center, Convention Center and Brightline train connecting to Miami and Fort Lauderdale. Like its sister location, Two City Plaza offers a heated rooftop pool, sauna and steam room, fitness center, clubhouse and courtesy valet.